A large problem we have come across with CF7 is the use of dynamic attachments using only a single form. The problem is CF7 is limited to fairly static variables which are tricky to interchange. 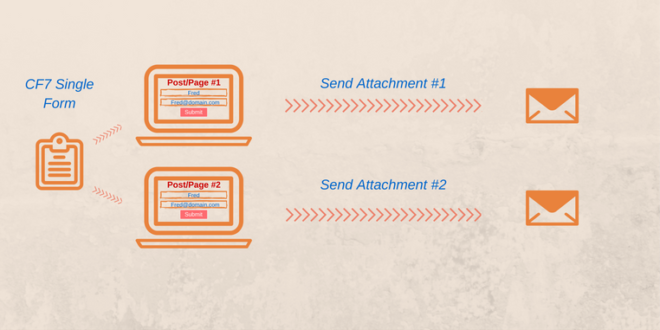 If you want different attachments you generally need to create multiple contact forms. This short tutorial will explain how to create a custom upload field for posts/pages/custom post types which works with a single contact 7 form when sending email. 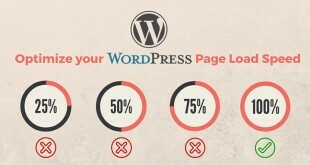 Commonly this would be used to send a resource such as an eBook or possibly offers which are unique to a single WordPress page/post and you wanted a button in that email to link to a PDF or other resource. 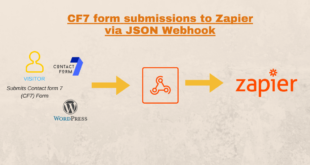 For this we will be using Just Custom Fields plugin, Contact form 7 and a little bit of custom code added to the functions.php file through some easy to follow steps. Select the Post/Page/Custom post type which you will be using to embed your CF7 Form. For those who don’t know how to update the functions.php file, check out the article here. Open and append the follow code to your functions.php file. This piece of code will execute on successful submission of a Contact 7 Form before the email is sent. The final step is to now update your output mail tags on Contact form 7 by adding the shortcode _dynamic_attachments anywhere in the mail output form. This is a great solution if you have multiple pages such as offers or ebooks where the landing page/post might change, but you want to use the same contact form + mail template. If you want you can tweak the code to get other custom fields, text strings, numbers, offer codes… etc. It is important to note that this contact from will now look for an attachment each time it sends – if no attachment has been uploaded to the post it is sending from, the mail output for that form submission will show blank field values. I’ve being trying your method but does not seems to be working. I only get the [_dynamic_attachments] shortcode in return of the email..
Just noticed there was an error in my original code – Please try using [_attachment_url] or update the code and try using [_dynamic_attachments] again. But it does not work for me, I’ve done it step by step and it does not work. Do you receive any error when testing either [_attachment_url] or [_dynamic_attachments] ? It does not show any error, the message that arrives by email does not have the link of the complete file. Only displays the [_dynamic_attachments] tag without the link. Sorry for my very late reply on this one – I’ve noticed since the latest version of CF7 there was a change. Please update to the new version of my code and it should work now. And when I use the second option i just get this: “/” without quotes. I’ve updated to a new version of the code. Please update the code and try again. It should now be compatible with CF7 version 4.9. Thank you so much Moo Master !! Is there any way to get the uploaded file to be included as an attachement to the email instead of just a link to the file? When the path is not an absolute path, it will be treated as a relative path to wp-content directory. Can you make a suggestion on how to modify that happy to send beer money in exchange for your assistance with this. I put [_dynamic_attachments] in the File Attachements field and have use HTML content type checked but it’s still not working. uploads/test-attachement.pdf in the Files attachement box it works. It seems like the short code is not running in the file attachement area. Modified version of some similar code i’m using. Please try out the below. I tried both [moometric_dynamic_attachments] and [moometric_dynamic_attachments] in the file attachements dialog box of the but no luck. Also not sure how to send funds to 1FfLqTnYABc6K3Cy75eKD5PCEbyqU7pK3d what is that reference number? Still no go but thank you for your assistance. Do you have a pay pal account I would like to send you something for your troubles regardless. Thank You so very much for your code and assistance. 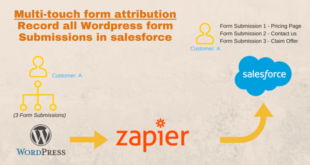 I have been trying for days to get a dynamic attachment (woocommerce product thumbnail image) to attach to a CF7 form email submission and nothing I have tried to date worked. I have setup woocommerce and have displayed the product enquiry button on the cart page (the products i have got here are from “add to cart” button). The problem i am having is to get the dynamic product name in to the ContactForm7 form. can you please guide me if there is a way for having the dynamically included product name in the contact form 7. You might be better off using something like the Dynamic Text Extension if you only need to insert a field from the existing post. Thanks for the reply, actually i am already using it on the products pages and it is working Great (y). But, currently i am working on the CART page, this page has for e.g. 3 products. i have setup a popup form(ContactForm7) with everything in it, but the only thing i need is, all the products in the cart page into the Product Enquiry form. Thank you ! Both options work very well, even with the ACF plugin! Thank you very much !